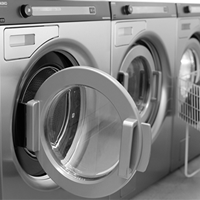 Our self-service washers and dryers are available 365 days per year from 7.00am to 8.00pm. Come and enjoy a cup of coffee watch the news and wait for your washing and drying to be done. 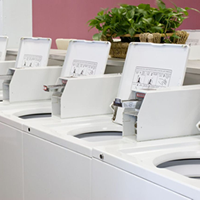 We have 7 extremely efficient gas dryers and 5 commercial washers waiting for you. £7 for a self-service wash load of 9kg in our larger machines.